Arc System Works unveils a trailer for BlazBlue CentralFiction which will be released on NESiCAxLive soon. Not much is known about this new instalment of the famous fighting games saga yet except that it will include at least 3 new characters: Naoto Kurogane, Hibiki Kohaku and Konoe A. Mercury. 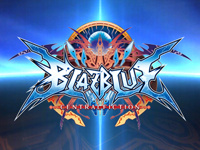 We will learn more about it very soon as BlazBlue CentralFiction will be playable this weekend! Indeed, a special event will be held on the fourth floor (5F) of the famous Hey arcade in Akihabara this Saturday, July 18 from 11:00 to 20:00. There will be 8 back-to-back arcade machines equipped with the game (this means 4 simultaneous matches in 3 winning rounds), the games will be free but you'll need a ticket to play. These tickets will be distributed at the entrance of the hall from 10:30 until exhaustion (a second distribution of tickets for girls only will be held at 14:00). There will be a booth where you can buy Arc System Works merchandising (CDs, towels, T-shirts, mugs, ...) and a special program will be broadcast on Niconico Live from 18:00 to 19:50 (11:00-12:50 CET). On Sunday 19th and Monday 20th of July, the location test will continue on the second floor (3F) from 10:00 to midnight. 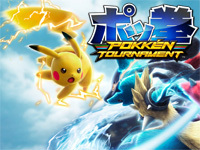 A game of 2 winning rounds will cost you ¥100 and a winning streak limit will be set based on affluence (3 matches maximum by default). 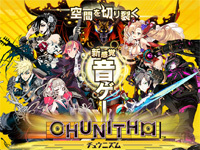 Players will be able to answer a questionnaire to give their opinion on things to change. 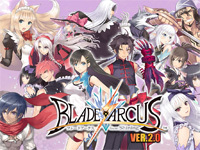 BLADE ARCUS from Shining Ver.2.0 is available in Japan today. Four new characters are coming with this update. Rick Elwood (Shining Hearts), a young swordsman, Dylan Loen (Shining Hearts), a dual swordsman and a pirate captain, Rouna Murasame (Shining Hearts), a wolf of the beast race and a professional with blades and Urayukihime (Shining Blade), a spirit sword. New features are also added to the gameplay: the Reversal Strike (fight back when attacked) and the Rejection Guard Skill (guard and strike back simultaneously). You can watch the trailer here. 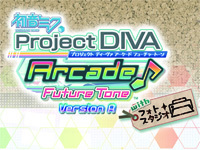 Hatsune Miku Project DIVA Arcade Future Tone with Photo Studio is a new version of the game with a printer allowing the player to print pictures of the game. The players can do screenshots and print them. They can also print the collecting cards they own. To print a pictures, they need two additional credits. 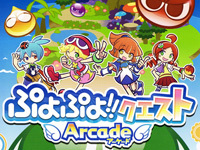 Puyo Puyo Quest Arcade ver1.4 is available since Yesterday. This update adds a new School quest and a new Extra stage with many quests available for a limited time. 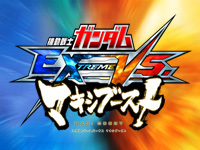 At the end of the Extra Stage, the player can get extra cards if he beats the boss. A new event will start on July: the Tower Event. The tower features many levels with a boss on each one. 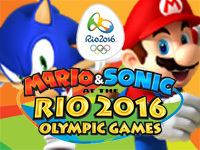 The player wins more points when he reaches the highest levels. 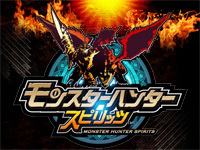 Monster Hunter Spirits starts operation in Japan today. The game is a card battle RPG taking place in the world of Capcom's Monster Hunter world. It is produced in collaboration with Marvelous. 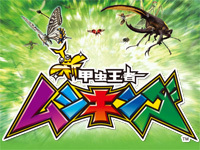 Monster Hunter Spirits uses real cards that the player scan to add new equipment and weapons to his characters. There is no level-up for the player's hunter but he or she can get new skills and abilities in the game. You can watch the trailer here. The June update brings a new mecha. The OZ-00MS2 Tallgeese II (Tallgeese II) is a Mobile Suit piloted by Treize Khushrenada. It is based on the original OZ-00MS Tallgeese and comes from Mobile Suit Gundam Wing (a 49 episodes series broadcast between 1995 and 1996). Its equipped with Dober Gun, Beam Saber and Shield.